The number of Americans filing new claims for unemployment benefits rose last week but stayed close to a seven-year low and pointed to ongoing healing in the labor market. Initial claims for state unemployment benefits rose 28,000 to 326,000 for the week ended May 17, the Labor Department said on Thursday. The prior week saw the lowest reading since May 2007 and brought claims back to a level last seen before the deep 2007-09 recession. Economists say the cumulative reduction in new claims could point to stronger hiring, although one metric in Thursday's report cast a shadow over the upcoming monthly employment report for May. 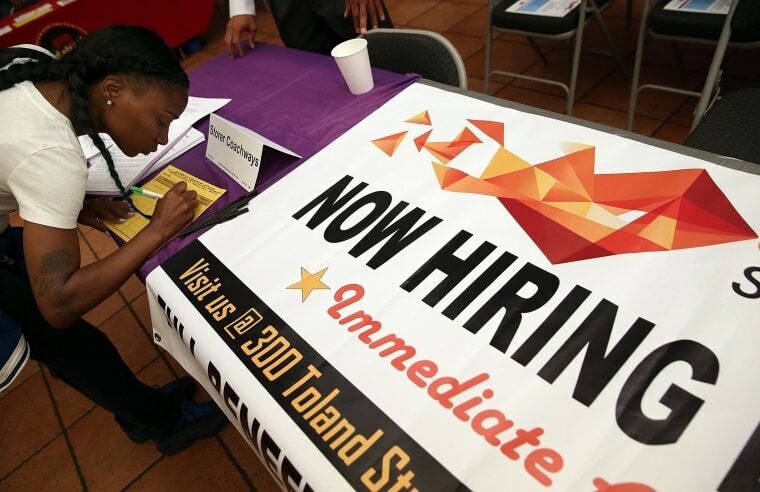 Thursday's data falls within the survey week for the employment report's gauge of hiring in the economy, and the four-week moving average of new jobless claims rose about 3 percent from the corresponding week in April. That might point to a weaker pace of job creation this month, although this would not be that surprising because hiring in April was unusually strong. Nonfarm payrolls increased 288,000 in April. Economists expect job gains to average 200,000 for the rest of the year. The four-week average, which smooths out the often volatile claims data, rose 10,500 from the week of April 12, and was down 1,000 from the week of May 10.